Seattle’s modern history dates back to the Denny Party’s landing in 1851. Since its founding, the city has divided itself into neighborhoods, each with its own distinct personality. But where did the names of those neighborhoods come from? The answers range from references to the area’s American Indian heritage to lost coin flips, American presidents to misidentified foliage. A vast (though not 100% exhaustive) list of these histories is below. 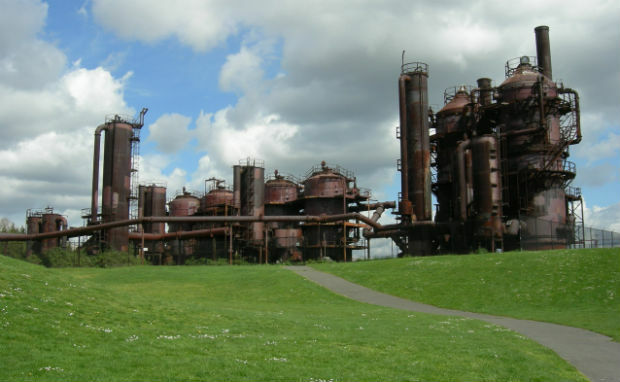 If this sort of information piques your interest, be sure to check out the Washington State Online Encyclopedia and the Museum of History and Industry. Ballard is named after Capt. William Rankin Ballard who ran, among other enterprises, a feed store in Salmon Bay with fellow ship captain J.A. Hatfield. After the two men reluctantly accepted a deed to 160 acres of logged land north of Seattle as payment for a large hay bill, both Hatfield and Ballard decided they did not want to be responsible for the property. So they flipped a coin, with the loser getting the land. Ballard lost the coin flip, developed the land, and profited to the tune of $160,000. 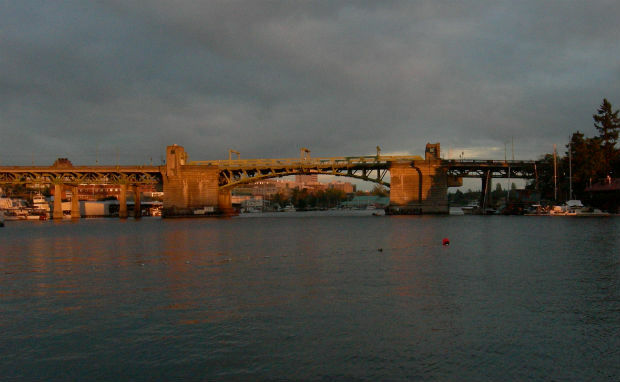 However, the neighborhood’s name remained Gilman Park until railroad conductors started calling the last stop on the Eastern Railroad line (which ended just south of the current Ballard locks) “Ballard Junction.” The area picked up the colloquial name Ballard, and when the town incorporated itself in 1890, the name was made official. Beacon Hill was originally named "Greenish-Yellow Spine" by the Duwamish Indian tribe, but that name did not stick. Instead, Beacon Hill got its moniker from M. Harwood Young, who named the hill after the neighborhood in his home town of Boston. Young may or may not also be the reason that Boston fans suddenly outnumber Mariners fans every time the Red Sox come to town. 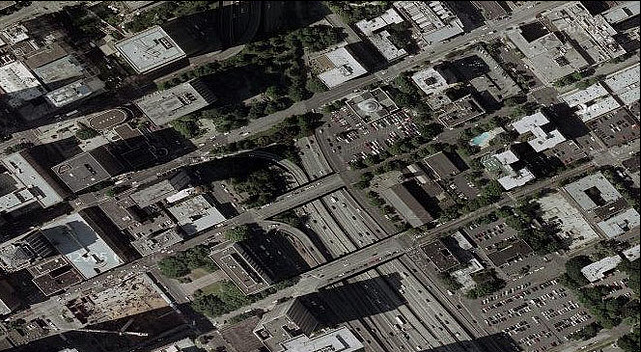 Belltown is named after William Nathaniel Bell who was a member of the Denny Party which first settled Seattle. Bell not only named the neighborhood, which abuts downtown to the northwest, but also named two of the area’s major thoroughfares after two of his children (Virginia Street and Olive Way). There are two origin stories for the name of Seattle’s oldest suburb and both are related to developer James Moore, who platted the area. The first is that he hoped to move the state capital north from Olympia. The other is that he was trying to make his wife feel more comfortable by naming the area after the neighborhood in Denver that she hailed from. 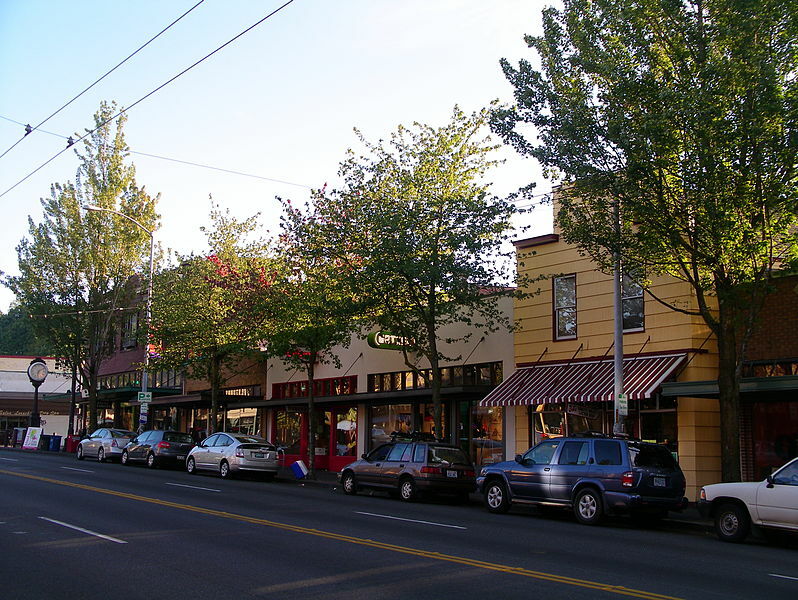 The Central District contains a number of smaller neighborhoods, and it is named after its central location in Seattle. But you probably could have guessed that. Did you guess that the Central District is named because of its centrality in the city? I hope so. 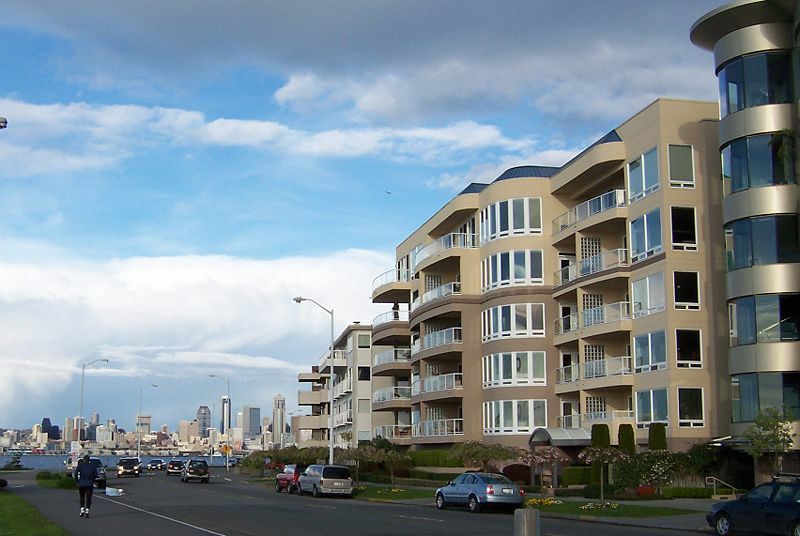 This south Seattle neighborhood, which has been at the forefront of recent transit-related gentrification, was not named directly for Christopher Columbus, but instead was named after the song "Columbia, the Gem of the Ocean," which was popular in 1890 when developer J.K. Edminston established the neighborhood. 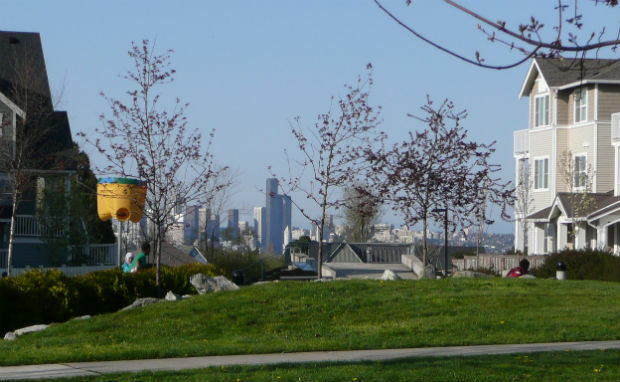 Crown Hill, a neighborhood just north of Ballard, takes its name from the cemetery that was placed there when Ballard residents decided they needed more space for their dead after their young city’s population grew rapidly due to the emergence of the shingle industry. 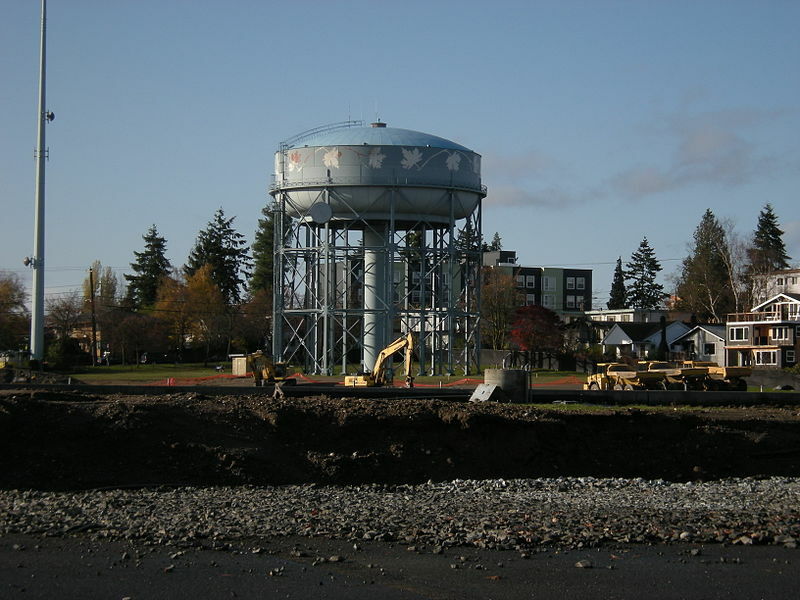 For a time Ballard was known as the “Shingle Capital Of The World.” Even though the Crown Hill Cemetery was founded in 1903, according to its website there is still plenty of space available. 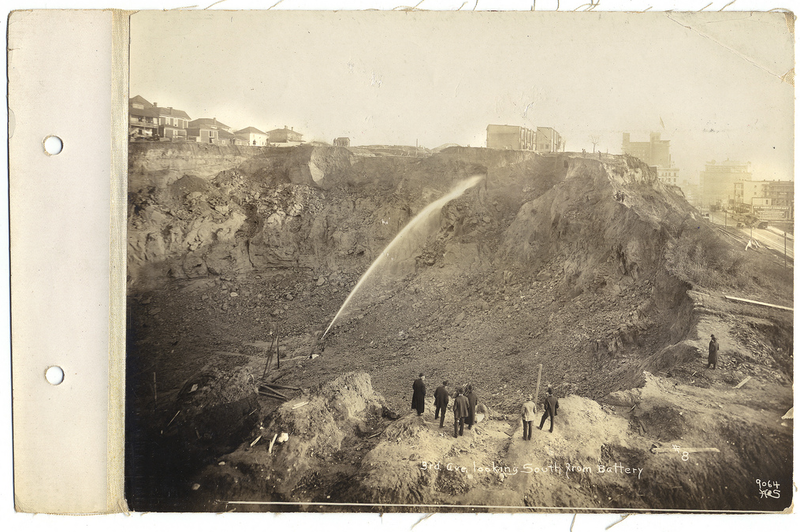 The Denny Regrade, also known as the Denny Triangle, was once Denny Hill, named after the Denny family which founded Seattle. 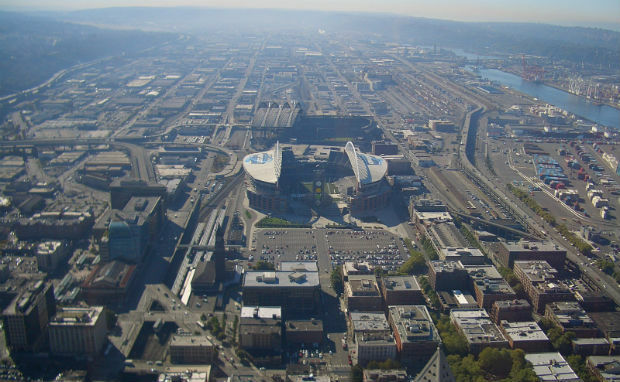 However, the entire area between present day downtown and South Lake Union was flattened, buildings were moved, and the current area which is soon to be heavily developed by Amazon was created. 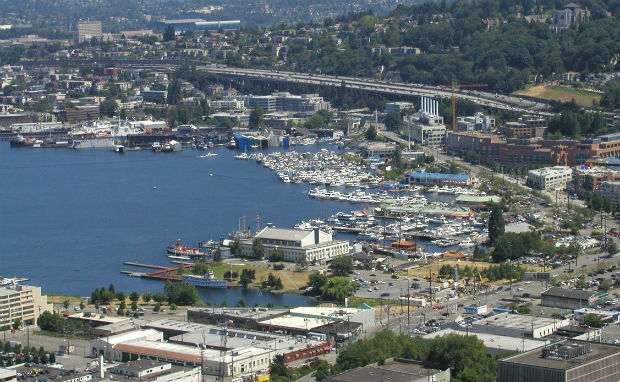 Eastlake is the small neighborhood east of Lake Union. It is not east of Lake Washington. If you go east of Lake Washington, you’re in Bellevue. 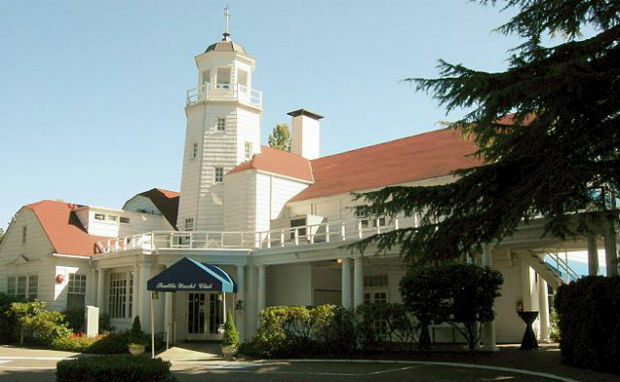 Fauntleroy, in West Seattle, was named by a US Coast Guard lieutenant in 1857 in honor of his fiancée’s family. 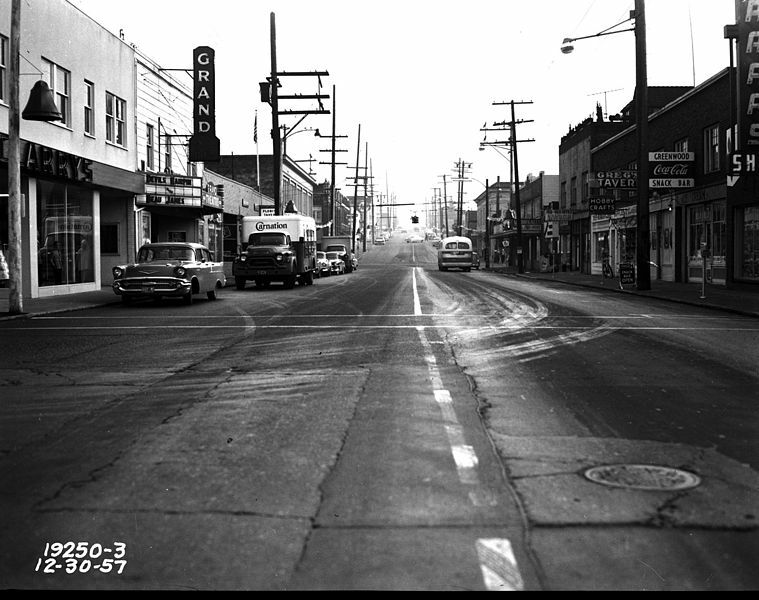 More interesting is the sub-neighborhood contained within named Endolyne, which is centered around the spot where the Fauntleroy streetcar line once ended. “End of the line” became “Endolyne,” and the name stuck. 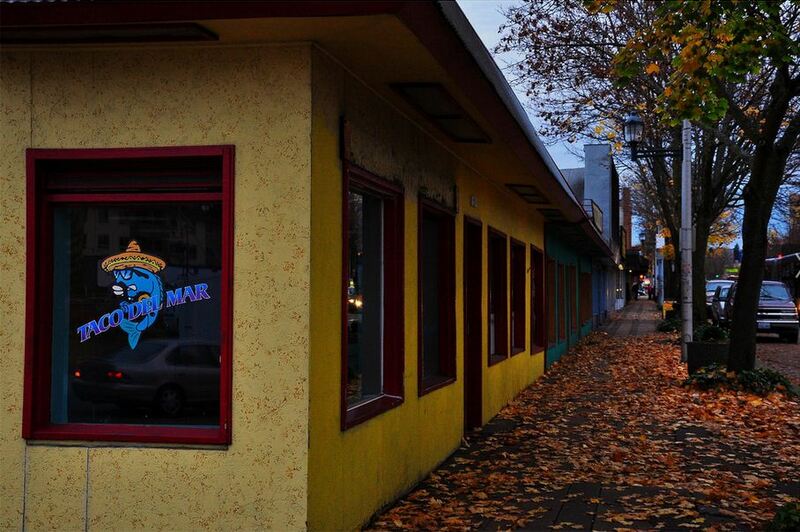 Fremont considers itself the home of Seattle’s counterculture. The neighborhood boasts an only somewhat ironic statue of Vladimir Lenin, and the recording studio where Nirvana laid down Bleach. So naturally it is named after the hometown of two of the city’s founders: Fremont, Nebraska. What could be more countercultural to Seattle than a small town in Nebraska? Developer Dexter Horton named Georgetown after the University, as his son had recently graduated from the medical school when the area was incorporated. 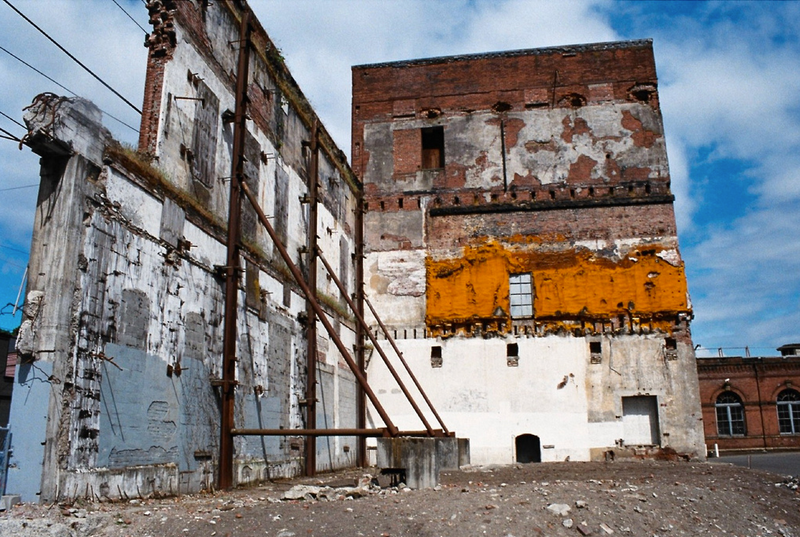 This unfortunately braggy start did beget what was once the world’s sixth largest brewery (the source of Rainier Beer) as hops grew well in the fertile soil of the area that had once been covered by the Duwamish River. 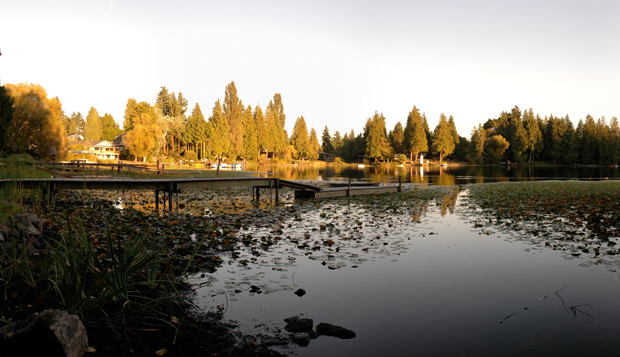 Green Lake is named for the glacial lake that abuts the southwestern border of this neighborhood. The lake itself was named for its propensity for algae blooms by surveyor David Phillips. Greenwood was initially called Woodland, and was little more than a bog that also housed a cemetery. However, once the Crown Hill cemetery was established, bodies interred at Woodland Cemetery were moved, and the area was developed as Greenwood by state governor Henry McBride. 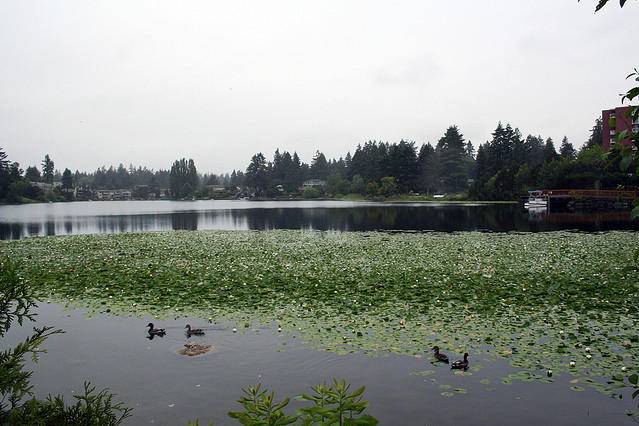 Haller Lake, which sits at the north end of Seattle proper, was named for Theodore N. Haller who platted the land in 1905. His father Granville Haller, one of Seattle’s early settlers, owned the land, but the lake is technically named after his son. 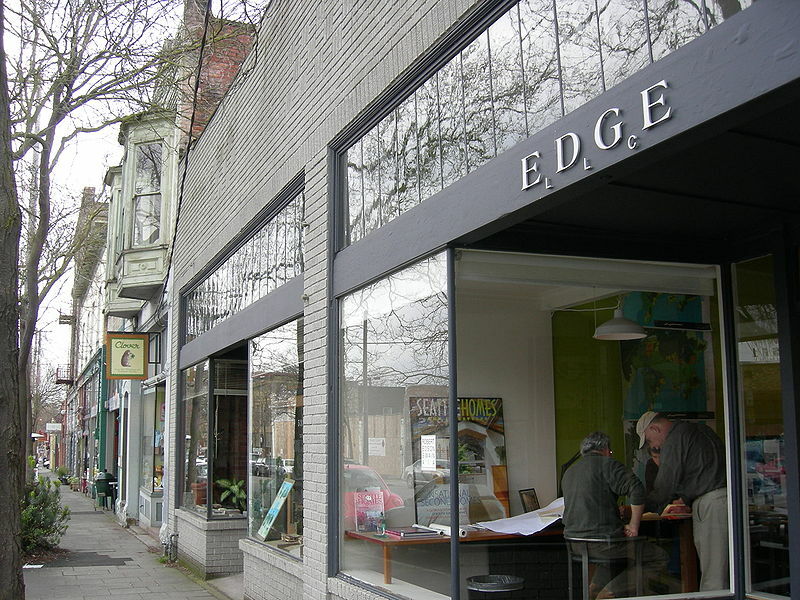 This community contained within the West Seattle neighborhood of Delridge is named because it has the highest elevation in the city limits of Seattle at 520 feet. Hillman City in South Seattle was named after developer Clarence D. Hillman, who was frequently accused of fraud and selling the same plot of land to multiple consumers. 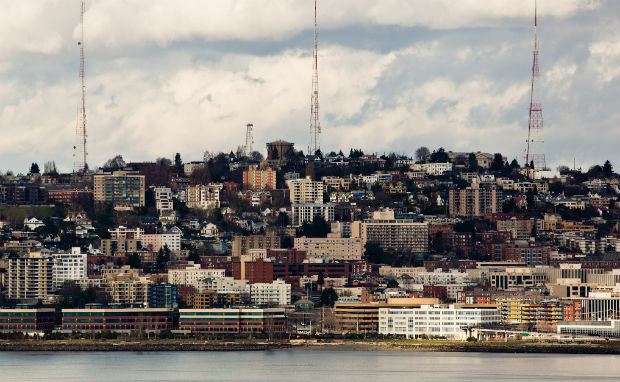 The valley between Queen Anne Hill and Magnolia was been called Interbay since 1892 when the postal service renamed the area which had previously been called Boulevard. 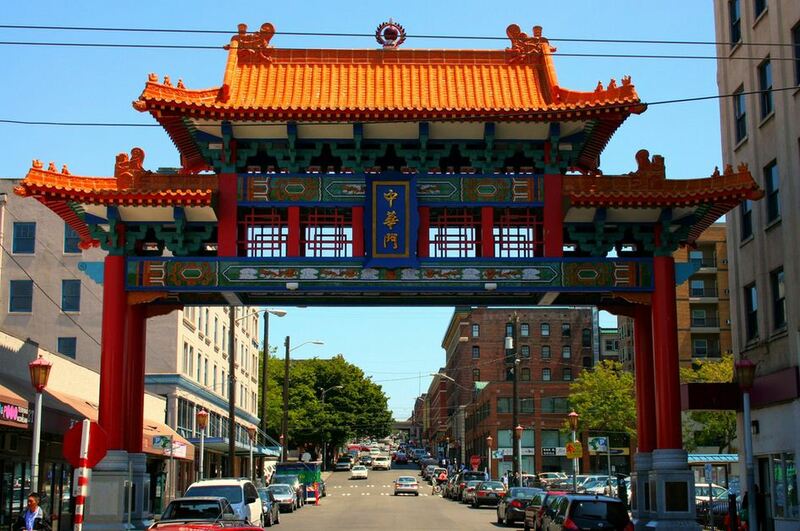 The International District had long been a center for Chinese immigrant populations in Seattle, but did not receive an official designation until 1951 when Mayor William F. Devin named the area the “International Centre.” It now is the home to both Seattle’s Chinatown and Little Saigon. Lake City took its name from a sign that someone posted along the Seattle, Lake Shore & Eastern Railroad north of the Sand Point brick factory. The sign, tacked to a shed, said "Lake," in reference to Lake Washington, and the name Lake City eventually stuck. This tony enclave adjacent to the University District was originally owned by the colorful "Uncle Joe" Surber, a settler known for his hunting and piledriving. 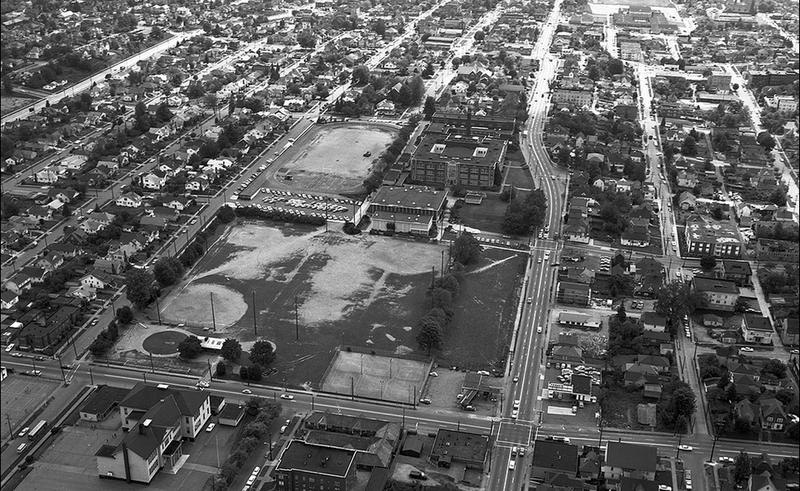 Eventually, Henry Yesler bought the land, parceled it out, and sold it to developers including Joseph R. McLaughlin, Paul C. Murphy, and Frank F. Mead. 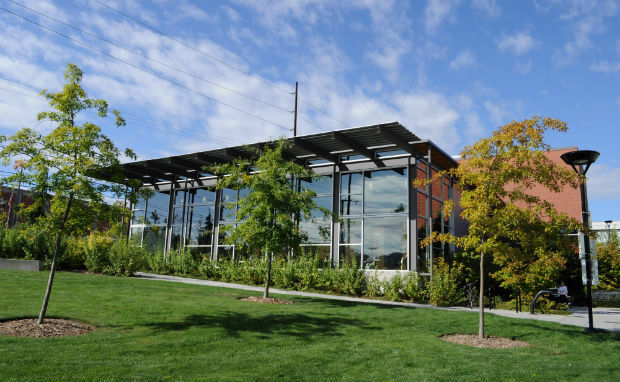 They named one of their many developments in the area Laurelhurst. 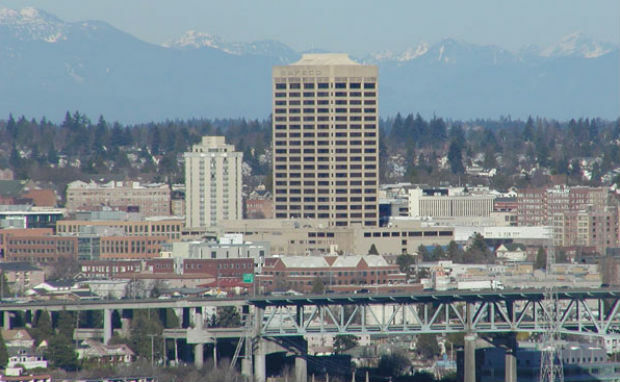 That name became codified in 1910 when Seattle officially annexed the area. 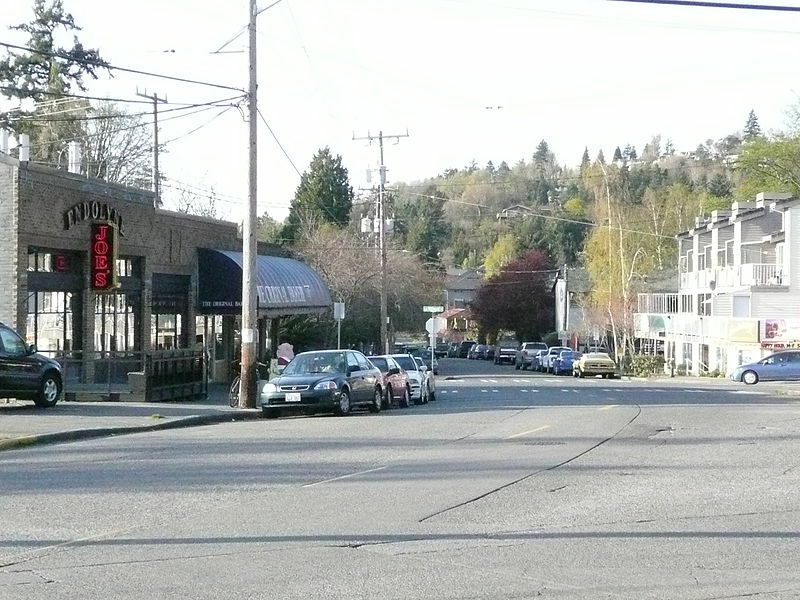 This neighborhood in Magnolia is named after Lawton Park, which sits on the site of the former Fort Lawton. 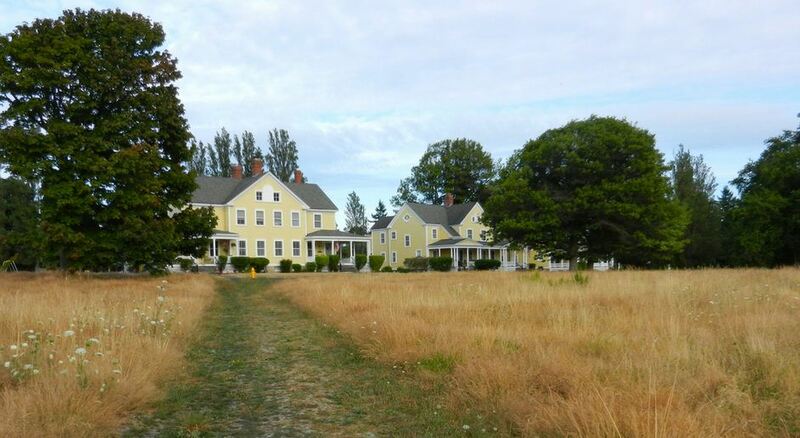 Fort Lawton was named after Major General Henry Ware Lawton who captured Geronimo in 1886. This neighborhood which lies just south of Madrona along Lake Washington is named after the Nisqually Indian Chief Leschi, who had an encampment in the area. 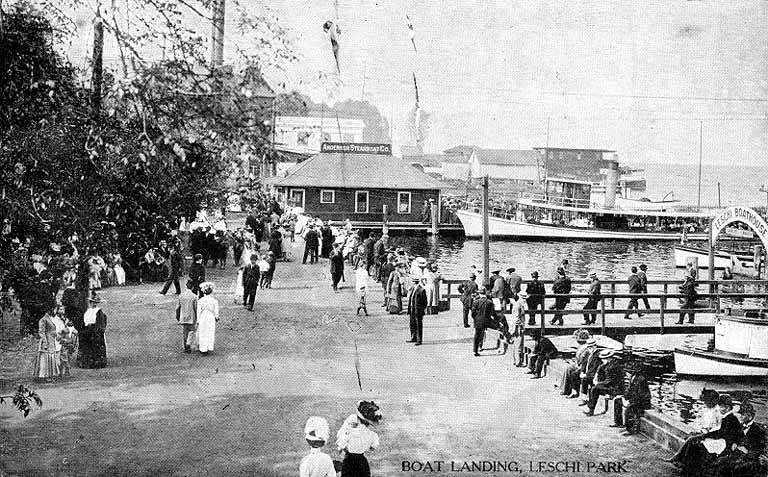 Leschi was hanged by settlers in 1858, but his legacy remains. While a large number of the areas around Seattle have American Indian names, Leschi is one of the few areas within Seattle that still has a name that pays tribute to the area’s native heritage. This North Seattle neighborhood takes its name from the Salish word Liq'tid, which refers to the reddish mud that the springs of the area naturally produce. Loyal Heights was, and to a large degree still is, a bedroom community north of Ballard. 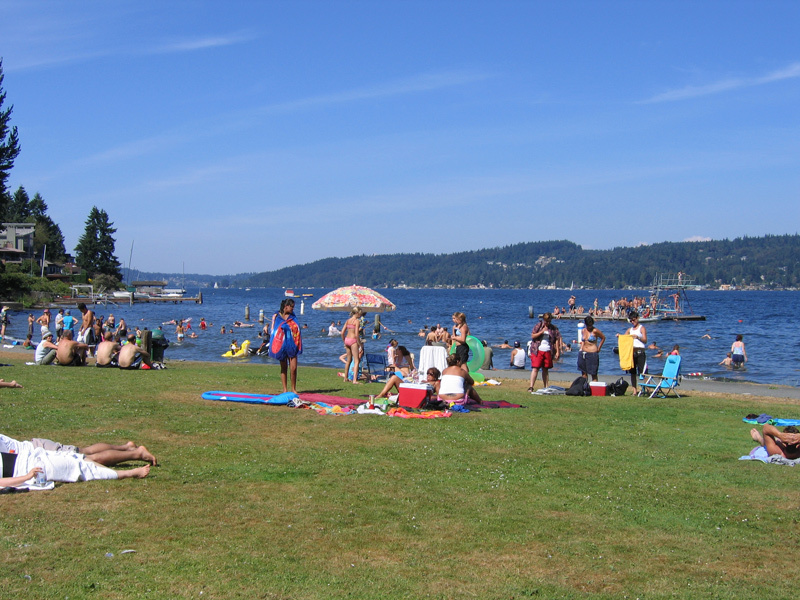 It was named by developer Harry W. Treat who also named the beach along Puget Sound in the area, Loyal Beach. 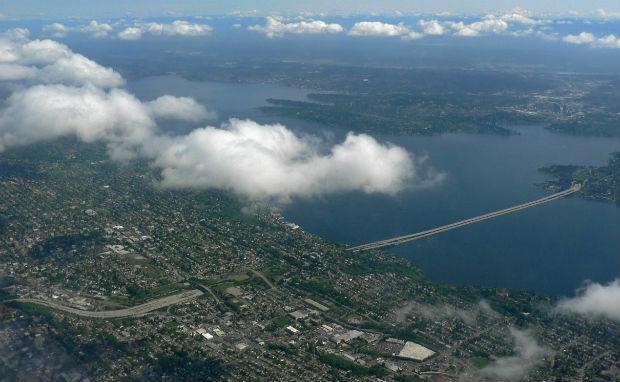 Madison Park takes its name from Madison Street, which was the earliest direct route from Puget Sound to Lake Washington by car. Madison Street was named for US President James Madison. 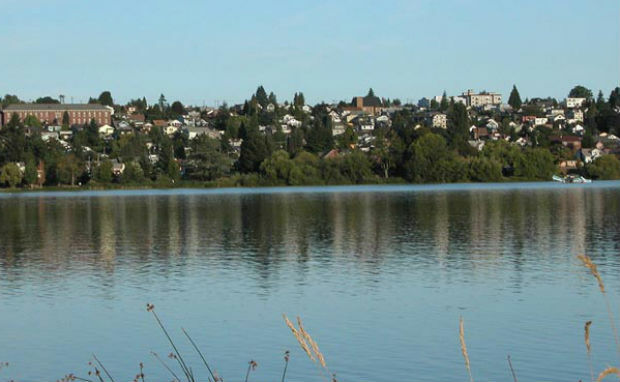 Tucked between Leschi and Denny-Blaine along Lake Washington, Madrona was originally called “the Cascade Addition,” but the name was changed to Madrona by John Ayre in 1889. Madrona is another name for the arbutus trees that grew (relatively sparsely) in the area. While Magnolia was named for the magnolia tree, it was done so erroneously. In 1857, Lt. George Davidson mistook the madrona trees on Magnolia Bluff (which were likely more plentiful than the growth of madronas in present-day Madrona) for magnolias. Despite Davidson’s error, the name for the bluff stuck, and the neighborhood there took the name. The name for the north Seattle community Maple Leaf either came from the Maple Saw Mill which operated nearby or the trees which once grew in the area. There is also an apocryphal story that Maple Leaf was so far north of downtown Seattle that it got its name for being near Canada. 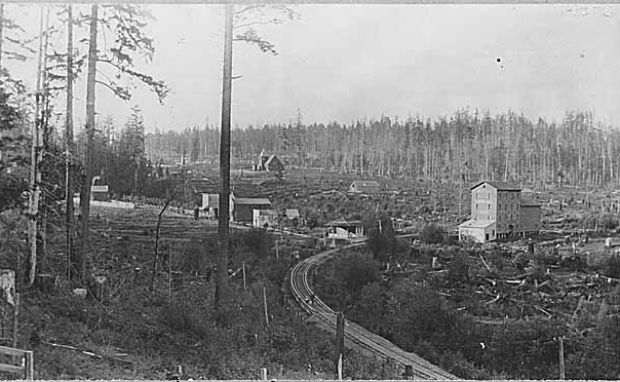 A community within Lake City that sits on the shore of Lake Washington, Matthews Beach was named after John G. Matthews who established his homestead in the area in the 1880s. 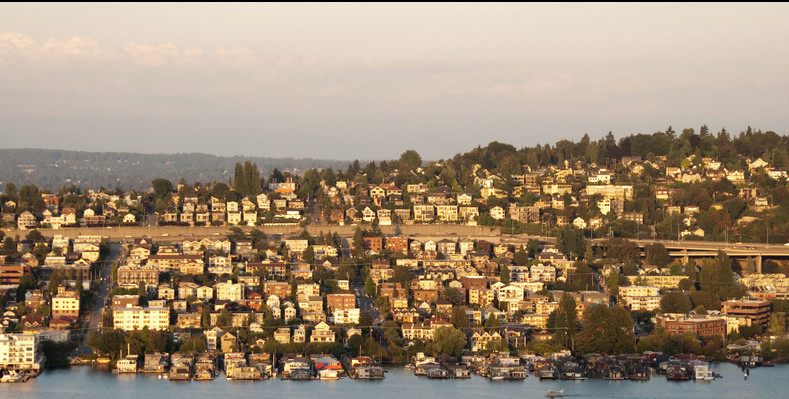 Montlake, a community that sits in between Capitol Hill and the University District alongside the Lake Washington ship canal, got its name from real estate agents who wanted to evoke the beauty of both mountains and lakes in order to move land. Sorry Montlake, you’re just a marketing term. 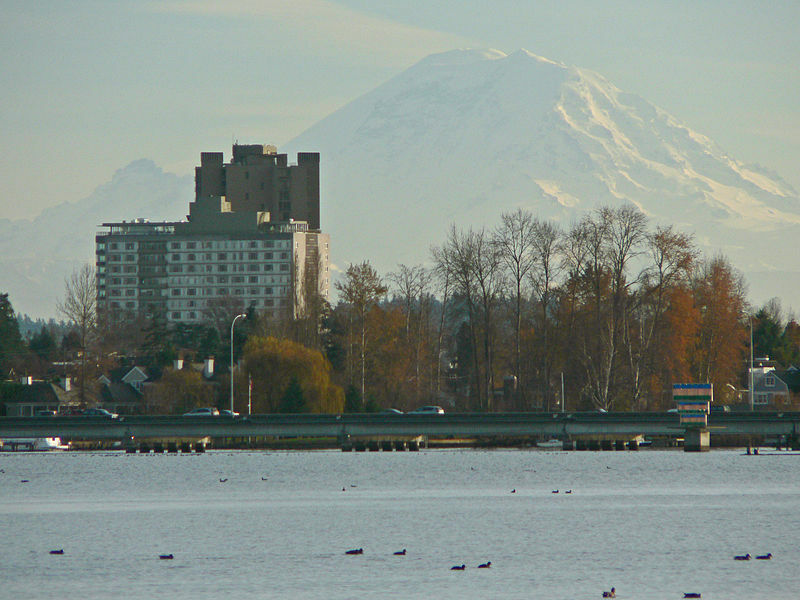 This relatively affluent south Seattle community which stretches from Rainier Avenue to the shore of Lake Washington takes its name from its view of Mount Baker which can be seen by looking northeast from the area. Northgate’s name was codified around the development of the Northgate Mall in 1950, which was the first indoor shopping center in America to be called a mall. So, yeah. It’s named after a mall. A relatively newly-defined neighborhood in the Rainier Valley, Othello (which is also called Brighton or simply Southeast Rainer Valley) has experienced a recent boom of transit oriented development. The neighborhood is named after Othello Street, which runs through the area. Othello Street is named after the play; it was originally called Matthiesen Place, but was changed by a theater-loving developer. 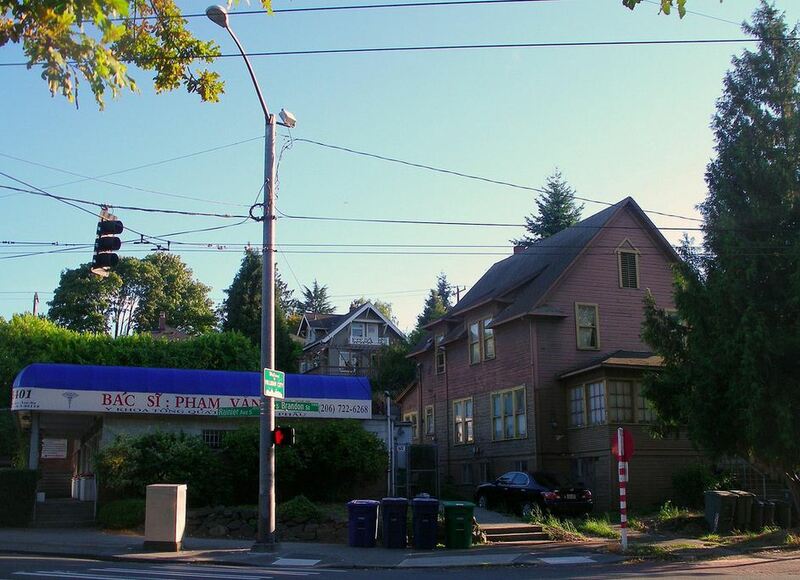 Phinney takes its name from Guy Phinney, an immigrant from Nova Scotia who established his own menagerie in the area. That menagerie became the Woodland Park Zoo (which technically is south of Phinney Ridge), and the ridge north of it between Greenlake and Ballard took his name. Pioneer Square is Seattle’s oldest neighborhood and original downtown. That said, the neighborhood has struggled through hard times, getting hit by the Great Fire of 1889, and falling into disrepair during the Great Depression when the neighborhood’s nickname “Skid Row” took on its modern connotation. The neighborhood was named for the importance the area held for pioneers in the Puget Sound area. 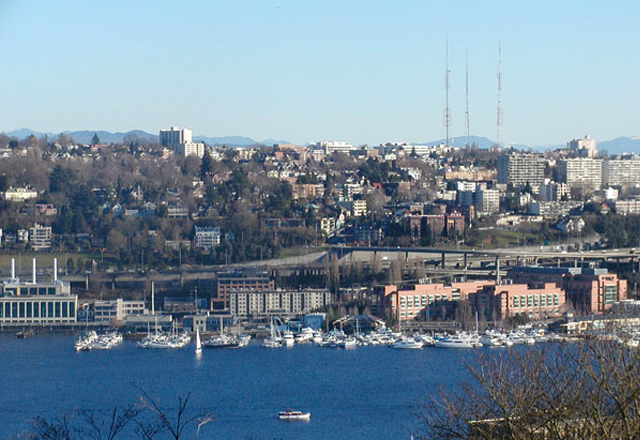 The small neighborhood that sits north of Capitol Hill on the bay that sits between Lake Union and Lake Washington got its name from the time before the two lakes were connected by water. In 1861, Harvey Pike cut a ditch in order to connect the two lakes, but was unable to do so with the necessary depth to bring ships through. 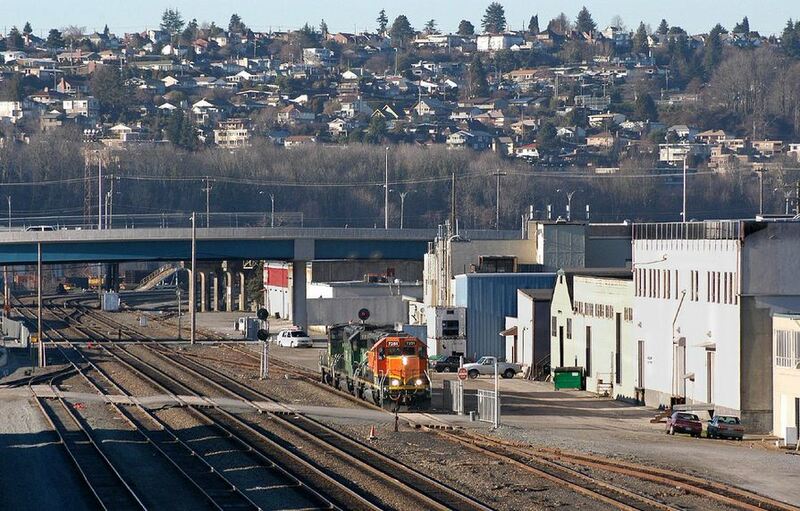 The neighborhood of Portage Bay sits where a rail line used for portaging goods between lakes used to operate. While the lakes were connected before the turn of the century, the name stuck. 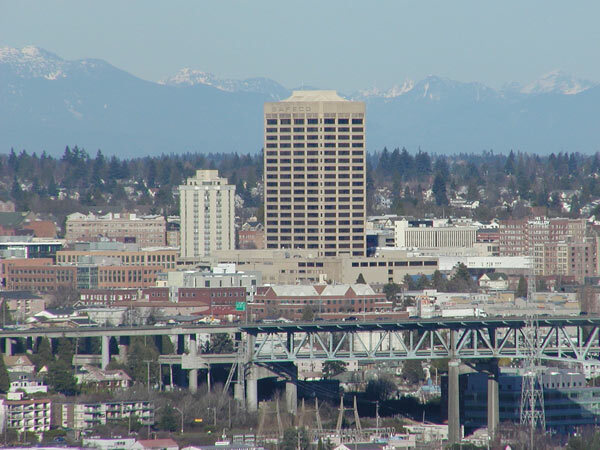 Queen Anne is named after the glacial hill on which it sits. 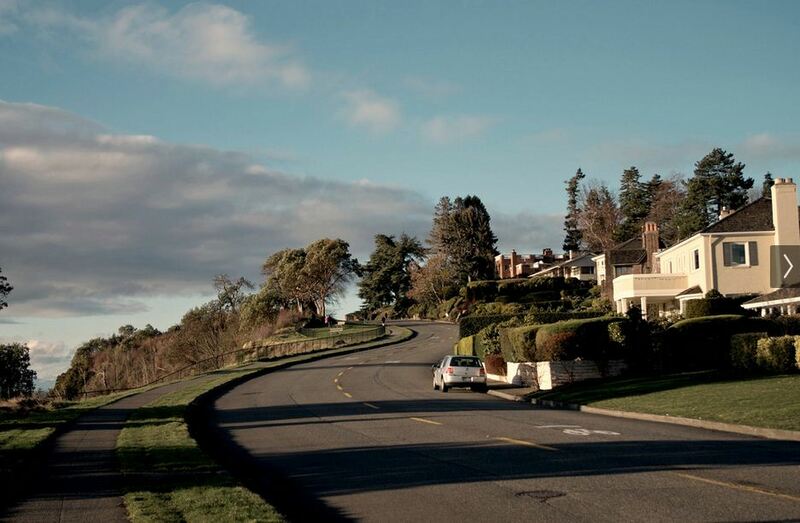 Queen Anne Hill was originally named Eden Hill by the Denny Party, but it did not develop quickly. When it did start to develop, a number of the first houses on the hill were of the Queen Anne style, leading Rev. Daniel Bagley to ask as a joke whether the area would become Queen Anne Town. Sometimes jokes become real, and in this case the name stuck. 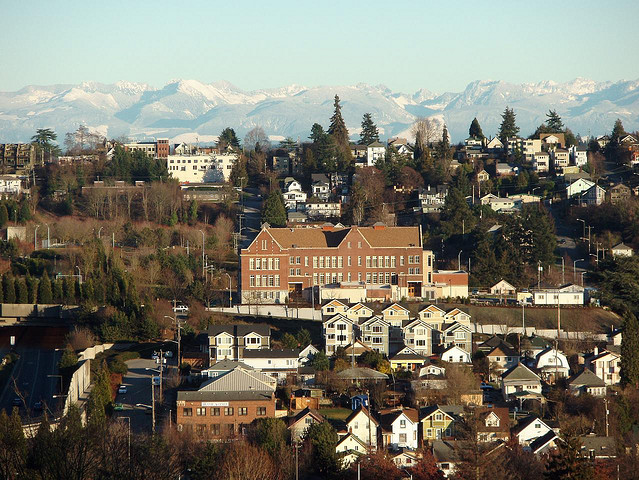 Rainier Valley, both a major geographical feature of South Seattle and a neighborhood, takes its name from the area's views of Mount Rainier. The mountain was named by George Vancouver for his friend Peter Rainier, as a reference to Rainier’s size. This residential community, which is just north of the University District, sits next to one of the oldest parks in the city. Though the land was originally owned by the Bells, it wound up in the hands of George and Oltilde Dorffel. They named the park, which sits in a ravine, Ravenna Springs Park, inspired by the ravine town of Ravenna, Italy. The area between Ravenna and Lake City became Roosevelt after a naming contest held in 1927 by the Commercial Club decided to honor President Theodore Roosevelt. 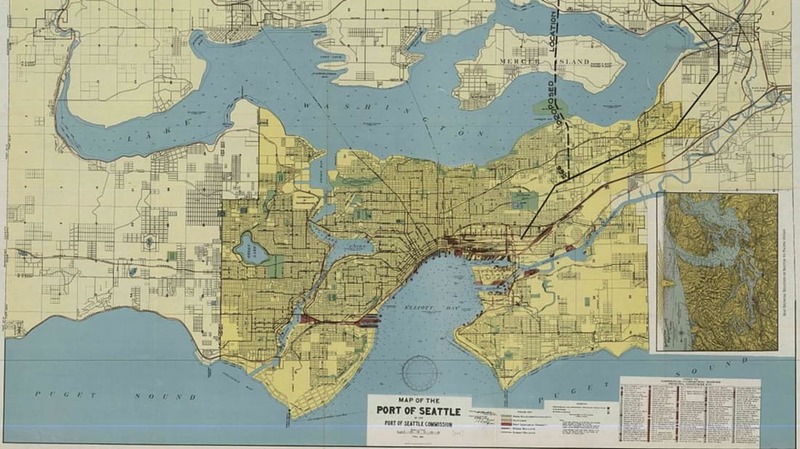 Sand Point, the neighborhood that contains and surrounds Magnuson Park and the former Naval Air Station, got its name from its beach, which juts into Lake Washington. It represents the easternmost point of North Seattle. 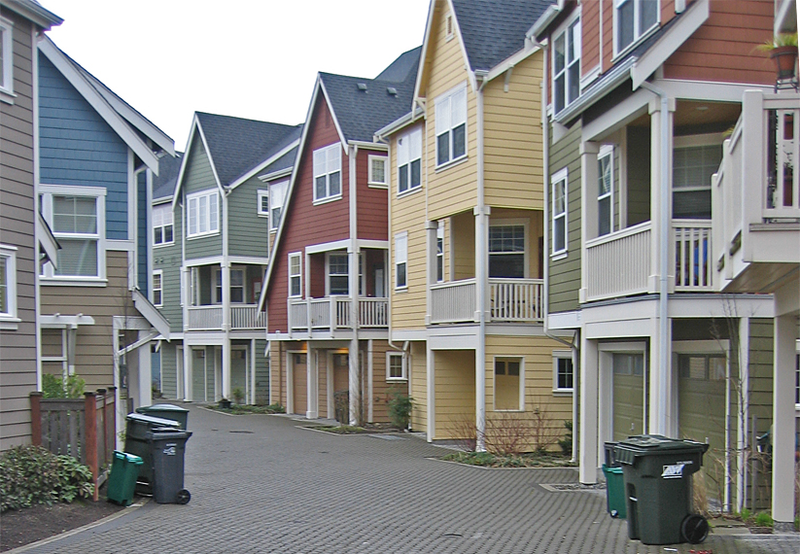 This neighborhood sits south of Lake Union. 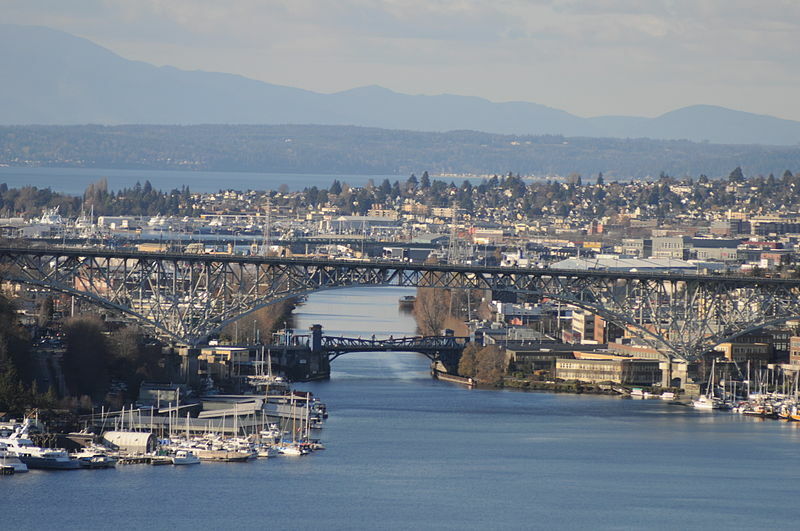 It must not be confused with the southern portion of Lake Union itself—much like Amazon.com, which is headquartered in South Lake Union, should not be confused with the Amazon River. 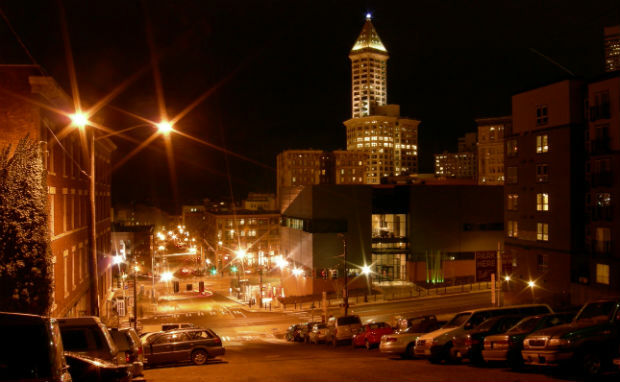 Originally called Brooklyn (still the name of one of the area’s main avenues), the University District took its name when the territorial university, which became the University of Washington, was moved from downtown to allow for expansion. Victory Heights, a neighborhood contained within Lake City, disappointingly has never won anything. It takes its name from Lake City Way NE, which in 1924 was named the Victory Highway. At other times the road has been called the Gerhart Erickson Road and Bothell Road. 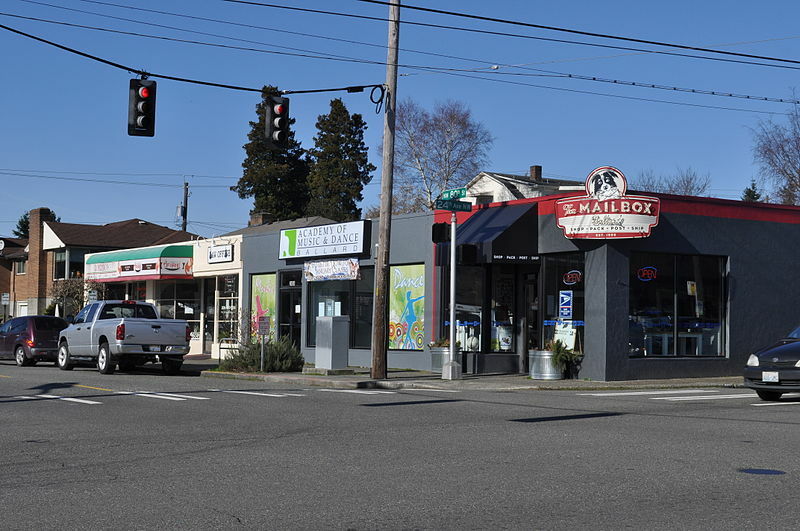 The North Seattle neighborhood of Wallingford takes its name from John Wallingford, who moved from Maine in 1888 and purchased a great deal of the land that sits to the north of Lake Union. 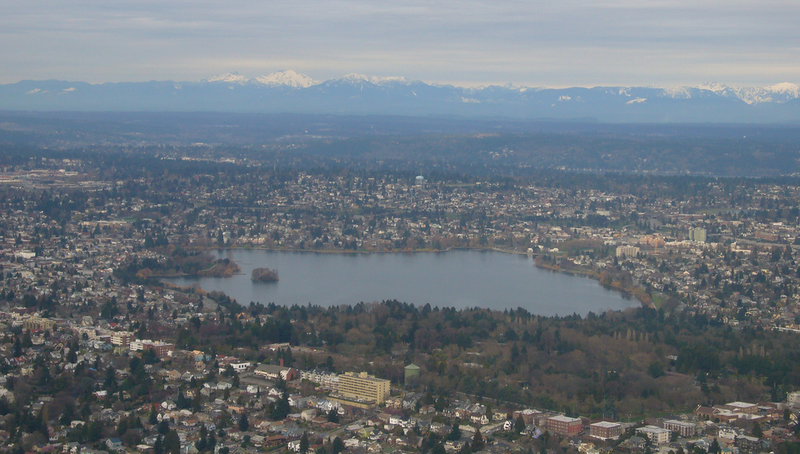 While present day Wallingford has clear borders, for a while, the area was amorphous, bleeding into both the University District to the east and Green Lake to the north. 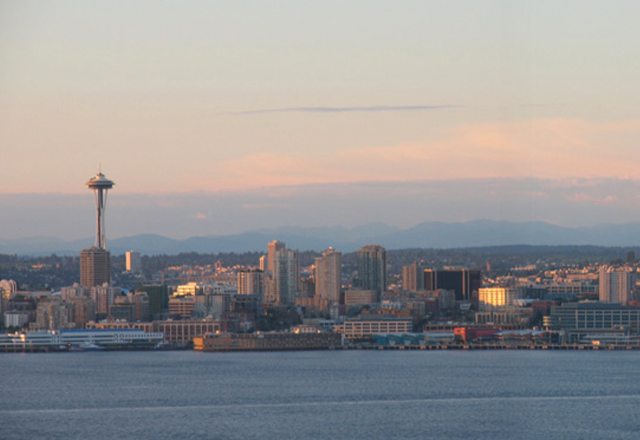 West Seattle is the peninsula that sits southwest of Seattle. Notably, it was on this peninsula where the Denny Party first met the Duwamish Chief Sealth, after whom Seattle as a whole takes its name.